The Full Bronte is heading to Oxford! 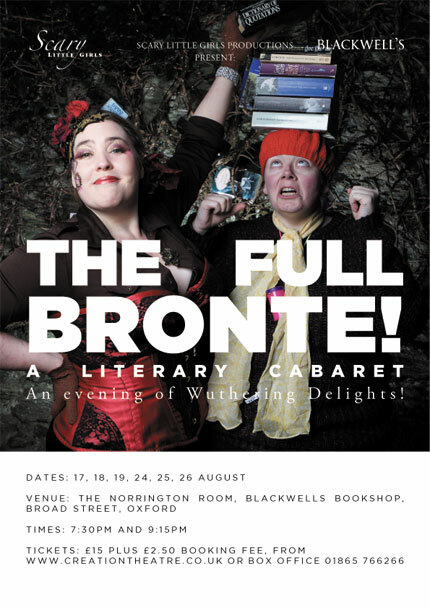 Join us as we head to Blackwells in Oxford for a limited run of The Full Bronte Literary Cabaret. Originally developed with The Theatre Chipping Norton and having enjoyed a sell-out run in Edinburgh and on national tours, this show is a delight for literature aficionados and theatre fans alike – and of course every devoted Brontëphile!